Maegan Adkins-Barras looks at her cell phone at Iberia Manor North, the nursing home where her husband Joshua resides, Monday, March 11, 2019, in New Iberia, La. Maegan Adkins-Barras, 32, of Broussard, was booked with unlawful posting of criminal activity for notoriety and publicity. When government officials abuse power, they must be held accountable. But apparently, that’s not happening with the well-publicized and inexcusable arrest of an Acadiana mother last month. 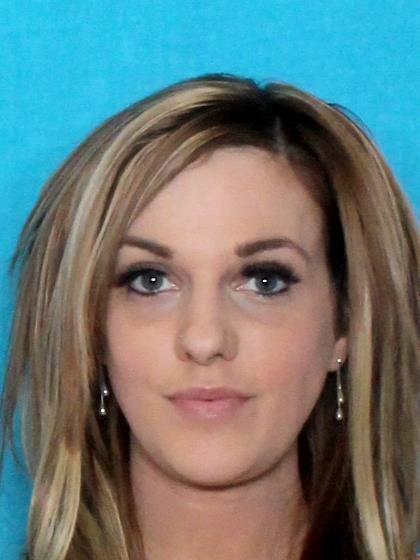 An officer with the Scott Police Department arrested Maegan Adkins-Barras, 32, of Broussard, on Feb. 20. Adkins-Barras posted a video on Facebook that her 14-year old son took of a fight at his school, Acadiana High. Police asked Adkins-Barras to come to her son’s school the day after the fight. They told her they wanted to question her son about the video he shot, and that she needed to be there. Police told Adkins-Barras she was charged with ”unlawful posting of criminal activity for notoriety and publicity.” They handcuffed her right in front of everyone at her son’s school, and off she went in the back of a cop car to the Lafayette Parish Correctional Center. "Right when I got there, they made me put on the orange jumpsuit. And I asked why, and they said I wouldn't have a bond until later. I kept asking why I couldn't get a bond. I didn't want to go upstairs. I had a mattress on the floor. All night long, that's what I had,” said Adkins-Barras. Her kids stayed with relatives while their mother spent the night in jail. "My little ones told me they saw the news and were scared I was going to stay in jail forever," she said. There is a Louisiana law prohibiting those committing a crime from posting it on social media for fame or financial gain. This was clearly not the case with Adkins-Barras. “The spirit and the letter of the offense require the person to be charged to be either a principal or accessory to the crime contained in the images obtained by an image recording device," District Attorney Keith Stutes said in explaining why he dropped the charges against Adkins-Barras. Adkins-Barras has hired an attorney and says she may sue. It’s understandable considering the unapologetic and seemingly unrepentant Leger, who still refuses to answer questions about the arrest — although he did tell The Advocate he isn’t concerned about a lawsuit. This ordeal was especially traumatic for the 32-year old mother because her husband, Joshua Barras, tried to hang himself in the very same jail just four months prior to her stay there. The incident left him in a vegetative state. Joshua was in jail for illegal possession of the prescription drug Xanax when he tried to kill himself. Adkins-Barras says she posted the video because it showed one of the kids fighting hit his head on the concrete. The mother of one the kids in the fight video thanked Adkins-Barras for posting it. "She had no idea how hard he'd hit his head until she saw it, and she took him to another doctor the next day," Adkins-Barras said. Adkins-Barras did nothing wrong. Her night in jail was unjust and a clear case of abuse of power. Someone must be held accountable. And yet a full month after the fact, the mother of three has yet to receive as much as an apology. Email Dan Fagan at faganshow@gmail.com. Twitter: @DanFaganShow.